Located on the intersection of N Cota St and Railroad St, Extra Space Storage serves residents of Corona. Locals will recognize our facility next to Corona Police Department a few minutes south of Butterfield Stage Square Shopping Center. 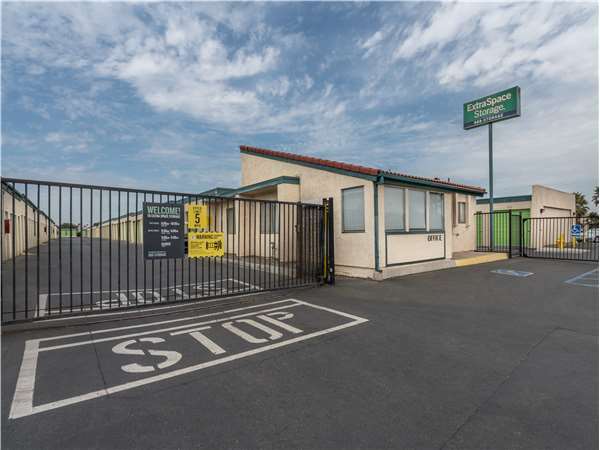 Extra Space Storage is about 1.9 miles from Corona Municipal Airport, so we're a convenient option for residents and visitors who need storage units or vehicle storage close to the airport! Very Clean storages & Facility. Employee Amanda will Help/Answer any questions, very easy in/out access. Recommend this storage company. I'm a returning customer to this Extra Space Corona location. In the past 20 years I have used this location several times. This is my 4th time renting at this location. It is very safe & secure & the onsite staff are great!! I've never been a fan of storage places but the people at Extra Space Storage of Corona have changed my mind. Their staff is always helpful and ready to take care of your needs an/or concerns. The pros of this storage space is the location is quiet and not busy, it's clean and well kept. I thought the price was high for my rental unit, but I needed a good, clean space to rent immediately, so I went with it. No complaints. But that's where I am with it. Look online for possible rental discounts here. I saved $4 per month for my space. So I can't get my stuff out because there is construction which means I cant get my truck in. And in exchange for this major headache and inconvenience, they've decided to raise the rent at the same time. And not just a little. A 14% increase. Jokers. Wish I never bothered moving my stuff in here, and now I have to move it all out this weekend lugging it across the entire parking lot to the nearest place I can park my truck. Very unhappy. It sounds like a cliche, but it's true that this is the best storage facility I have ever used. The staff members I have dealt with have always been friendly and have a great no-pressure approach when I've asked about paying late. They have made me feel like a valued customer. The location of this facility is in a good area where I feel safe. It is also always very clean here. Everything was easy! Night not be the cheapest in town but well worth the price, and the manager made me feel like I wasn't just a number. I've had a storage unit before at this facility, but with the new owners, they have really made such a deifference! I'm almost sad I'm moving away and cannot continue to rent with them anymore! If I ever do come back, I'll be here first thing! Take 15 south getting off on the 91 West, exit N Main St stay in the right lane and merge onto N Main Street. Use the left two lanes to turn left onto W Grand Blvd. You will see Just Tires on your left. Once on Grand stay to the right you will be making a right on to Railroad almost immediately where you will see an Xpress Auto Services on the right. Take Railroad down to Cota where you will make a right. Once on Cota we are the first driveway of the left hand side right before the train tracks. Take 15 north getting off on the 91 West, exit N Main St stay in the right lane and merge onto N Main Street. Use the left two lanes to turn left onto W Grand Blvd. You will see Just Tires on your left. Once on Grand stay to the right you will be making a right on to Railroad almost immediately where you will see an Xpress Auto Services on the right. Take Railroad down to Cota where you will make a right. Once on Cota we are the first driveway of the left hand side right before the train tracks. Take 91 West, exit N Main St stay in the right lane and merge onto N Main Street. Use the left two lanes to turn left onto W Grand Blvd. You will see Just Tires on your left. Once on Grand stay to the right you will be making a right on to Railroad almost immediately where you will see an Xpress Auto Services on the right. Take Railroad down to Cota where you will make a right. Once on Cota we are the first driveway of the left hand side right before the train tracks. Take 91 East exit 49A for Lincoln Ave at the first light which is W 2nd street make a left. At the first stop sign which is N Buena Vista Avenue make a left. Continue under the freeway to the light which is Railroad. Make a right on Railroad and the next light is Cota make a left. We are the first driveway off the left-hand side right before the train tracks.